Ever thought about how you can make your commute more productive, perhaps by catching up on the things that matter to you? As you spend hours sitting in traffic, you may start to feel your time wasting away, but it doesn’t necessarily have to be the case. According to research conducted by the Boston Consulting Group, commute times across Asia are steadily rising due to worsening congestion. Manila drivers spend an average of 66 minutes each day sitting in traffic, similarly in Bangkok and Hanoi, drive times are now more than or close to an hour at 72 minutes and 58 minutes, respectively. “Drivers in Manila spend more than 20 days a year stuck in traffic. At Ford, we try to make the daily commute a little less hectic with our technologies such as the SYNC 3 that make the driving experience still safe but more fun and enjoyable,” said Bert Lessard, managing director, Ford Philippines. And the losses are more than just wasted time. Road congestion costs Asian economies an estimated two to five percent of gross domestic product annually due to lost time and increased transport costs, according to a report by the Asian Development Bank. The stresses of commuting can also take a toll on one’s mental and physical health, with research data showing that those with longer commutes have a significantly higher chance of suffering from depression due to boredom and social isolation. While traffic congestion is unavoidable in most major Asian cities, that doesn’t mean time spent in your car has to be wasted. With Ford’s SYNC 3 infotainment system, you can spend your time in traffic more meaningfully in a safe manner that still allows you to pay attention to the road without distraction. Here are five things that SYNC 3 can do to help you take back your day. Spending hours in traffic presents the ideal opportunity to learn something new. Load some useful audiobooks onto your smartphone, and then play them back in your car via SYNC 3. From picking up a new skill to learning a new language, there’s virtually no limit to what you can achieve, optimizing your commute and transforming it into a time for personal growth. Or if books aren’t your thing and you prefer singing instead, download your favorite backing tracks and have your own impromptu karaoke session. 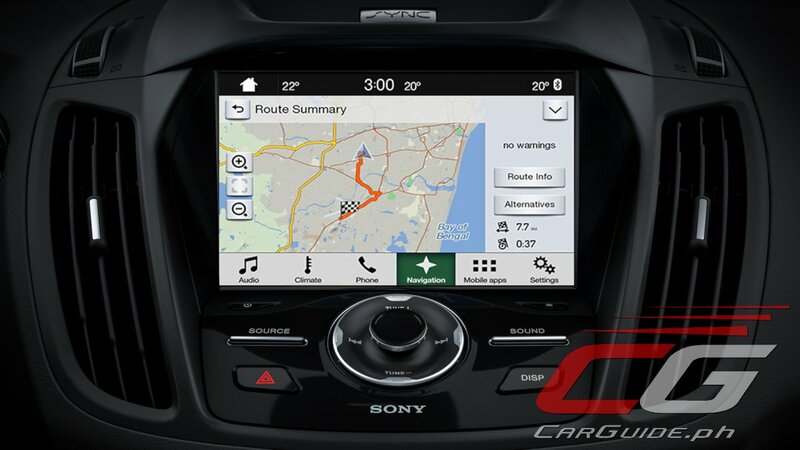 Ford SYNC 3 offers smartphone integration with both Apple CarPlay and Android Auto compatibility. Regardless of which smartphone you use, you will be able to sync it with the system and access its functionalities while on the move. More importantly, you can use SYNC 3 to read and reply to text messages safely via voice recognition technology. With smartphone integration, you can make calls while keeping your hands on the wheel. This opens up even more valuable time, which you can use to catch up with your loved ones. Or you can also leave for work a little later, and take conference calls from the car instead. AppLink now provides a richer and more integrated experience on SYNC 3. You can enjoy your favorite music, check flight information, talk to your personal voice assistant or even navigate to your destination with your hands on the wheel and eyes on the road. SYNC 3’s navigation function offers voice recognition technology to allow you to search easily for places of interest, such as a particular building or meeting point, and save them for future reference. This cuts down on valuable time needed to search through menus or maps to help make your day more productive. You can also use your favorite navigation apps from your mobile device when you connect your phone with SYNC 3 and enjoy a seamless navigation experience with the latest and most updated map and traffic information. With SYNC 3, you can regain valuable minutes on your commute everyday with its suite of productivity features, but more than that, you can be assured that it will always have your back while stuck in traffic.